Quite often when we look at an image we have no idea of the story behind it. This is a story of courage, fortitude and determination. I hope to tell it, with their permission, after Chris and Sharon get married in May at Broadoaks Country House Hotel near Windermere Cumbria. For a Wedding Photographer Cumbria this shoot was one that Ruth and I really wanted to do. Chris used to be the Chef at Miller Howe Hotel where we met up on a very cold Saturday morning. He is now Head Chef at the University of Cumbria based in Lancaster. Sharon is a hard working Nurse who told me she is fed up of inserting tubes up mens private parts! Because it was so cold we didn’t have much problem encouraging them both to ‘cuddle’ up. 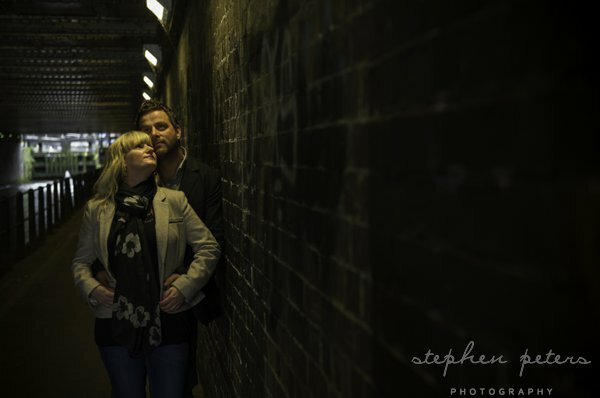 This is in effect Part 1 of their Pre Wedding photoshoot as we are all due to meet up in Manchester in March to take some images around the viaduct and Hilton Hotel area. Stephen & Amanda were married at The Inn On The Lake Ullswater on one of those very hot days we were experiencing for once in our lives in the Lake District. Amanda had chosen an Ian Stuart wedding dress which just looked fabulous. Carrie Graham looked after make up which really looked good on Stephen, maybe just a bit too much red suntan! Lisa Hill from Amici Hair and Beauty styled Amanda’s hair. Gary, John and Kerri, the team at Inn On The Lake, made sure everything ran to plan as usual and Geraldine Ophide from The Wedding Studio made a really cool job of dressing chairs and tables. There were too many interesting photos to do just one Blog so we will prepare another one in fairly quick order. We are off to shoot another Wedding on Friday at Broadoaks Windermere, another stunning location and hoping the forecast stays dry. So to see more wedding photography tune in again next week. This is the second of three Blogs from Halecat House and Garden. This one features Laura, who recently married, and works for herself as a Wedding Hairdresser. Whilst we were doing this photoshoot Laura mentioned she had not got any detail shots from her own wedding so we made sure to include some in this blog. There are of course many great places to get married in the Lake District and we have worked ourselves at many of them on behalf of Brides and Grooms. Halecat offers something a little different as it is in a unique setting. Their own description says ‘This elegant late Georgian House is beautifully placed at the head of an ancient wooded valley with wonderful views over Arnside and Morecambe Bay. It is part of the Witherslack Estate at the southern end of the Lake District. A very popular area for walkers and wildlife enthusiasts with glorious unspoilt natural mixed woodlands and many sites of Special Scientific Interest. The House and Garden are now available for self catered holiday lets, events and weddings.’ I can only agree with their comments as it was a lovely place to photograph. 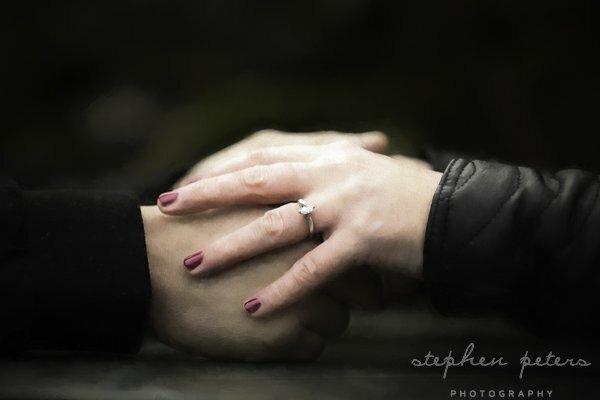 For Wedding Photographers Cumbria aka Stephen Peters Photography it turned out to be a great day! This was an event packed wedding at The Midland Hotel in Morecambe. Whilst we were all waiting at the Church for the Groom, Groomsmen, Bridesmaids and Bride to arrive we heard that there had been a four car pile up on the Promenade and the stretch limo bringing the Groom and Groomsmen was stuck in the traffic jam. Ruth and I had also had a car run into the back of us and reshape our back bumper as we were parking up at the Church. Then finally, when the Bridemaids arrived, we thought the 1935 limousine bringing Stephanie would appear and then we saw afar off a Bride in six inch heels running up the road with her brother! The limo had broken down! We have to say though that Paul and Stephanie coped with it all really well and did not let if effect them one little bit. The rest of the day went off without a hitch, other than Paul and Stephanie getting ‘hitched’, the sun appeared and all the guests had a fantastic time. They were married at The Parish Church of St Barnabas. The Midland Hotel, an Art Deco restored Hotel overlooking the sea, is a great place for a Reception and many thanks to the staff who looked after not only the wedding party but Ruth and myself as well. Stephanie’s dress was from Ronald Joyce. The flowers were supplied by TB’s and Blackberry Cottage Bakery made the cake. It was good to see Madam Chocolat on hand to keep everyone energy levels high with very tasty Belgian chocolate.